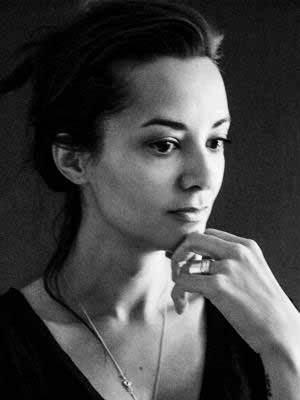 Izabella Demavlys is a Swedish born photographer and filmmaker based in NYC. She studied photography at the Royal Institute of Technology in Melbourne, Australia, as well as Parsons School of Design in New York. For many years she focused on fashion photography, but in the fall of 2009, she decided to travel to Pakistan to pursue documentary work about women who had suffered brutal acid attacks. Her project Without a Face has been published in magazines such as Vogue, Marie Claire, VICE. She was selected as a winner of the Magenta Foundation Flash Forward competition 2010 and attended the Eddie Adams workshop the same year. Her work has also been exhibited in US, Canada, Syria, Sweden, Belgium and she have recently received a grant from the Swedish Arts Committee to continue her documentary film about acid burn survivors. I also strongly believe that beauty is impossible to define solely by appearance. To illustrate deeper definition of female beauty, I photograph women whose pictorial beauty radiates from their accomplishment, character and personal struggles. Izabella Demavlys. All images © Izabella Demavlys 2010 – 2018. All Rights Reserved.